Roadside assistance programs have never been more important. As the auto insurance industry becomes increasingly competitive—there was a record low number of new shoppers in 2018, according to a J.D. Power Insurance Shopping Study—insurers must avoid churn by delivering tangible value. Beyond the claims process, roadside assistance is one of the few, and often one of the first, touchpoints to meaningfully delight customers. Consumers increasingly expect these services from their insurers and, when offered and used, they are a driver of policyholder loyalty. While some carriers advertise roadside to drive usage, many others have not. As a result, many insurers miss an immense opportunity. 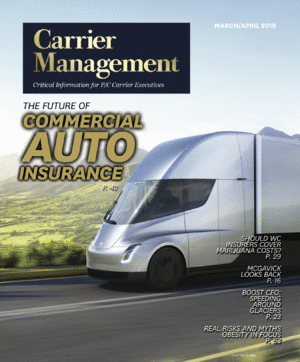 In the near term, carriers must take better advantage of roadside to drive brand differentiation. This includes better marketing the service and leveraging digital channels and data to enhance the customer experience. Over the long term, insurers should consider how these programs will evolve as the driving landscape shifts to new mobility trends.